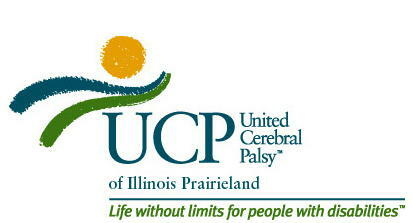 To improve the quality of life for persons with cerebral palsy and other disabilities, United Cerebral Palsy of Illinois Prairieland, Inc., will promote community education regarding prevention and needs; assure the rights of individuals; provide quality programs and services; assist individuals and their families in securing appropriate services. Your child’s education is important to you as well as all of us at school. We are committed to developing each student to their maximum potential. We believe that every child is able to learn and grow if provided with the proper environment. That environment includes the physical setting as well as the skills of individual teachers and therapists. We also believe that the child’s emotional development is of primary concern. As a result, we believe in a holistic approach which includes parents as full members of the multidisciplinary team and recognizes them as primary caretakers. Our goal is to assist each child and family, through the school program, with their unique individual needs and situations. Our curriculum is generated to promote as much multidisciplinary connection as is possible in a school setting, with the utilization of Speech Pathologist, Physical Therapist, Occupational Therapist and teachers based on the students IEP. United Cerebral Palsy, which serves the counties of Will, Grundy, Kendall, Kankakee, Ford, Iroquois, LaSalle, Southern Cook and Dupage was founded in 1955. UCP is a non-profit organization which provides the area’s only Day School Program for children with both profound developmental disabilities and serious medical issues. Intense staff –to-student ratio allows personal attention to each student. A detailed program is developed for each student using the evaluations of the teacher, therapists, and the referring school district, as well as parent/guardian input. The UCP utilizes computer technology to expand the student’s capabilities. Adapted to be accessible with a switch or touch screen, computers may increase motivation and control in the student’s learning environment. The UCP is licensed by the Illinois State Board of Education Non-Public School Approval Section to service students with multiple cognitive and physical impairments. The school is open 220 days a year from 9 a.m. to 2 p.m.